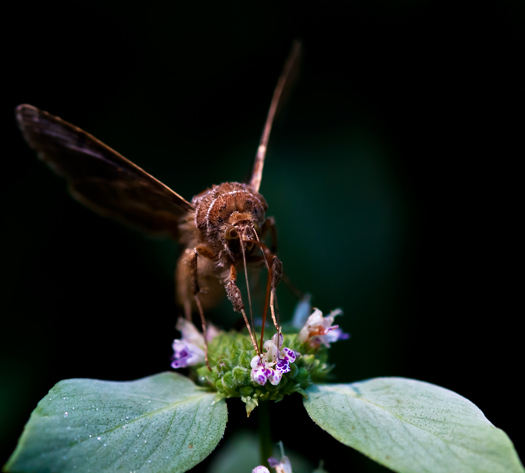 Moths were up at first light this morning feasting on Mountain Mint blossoms. 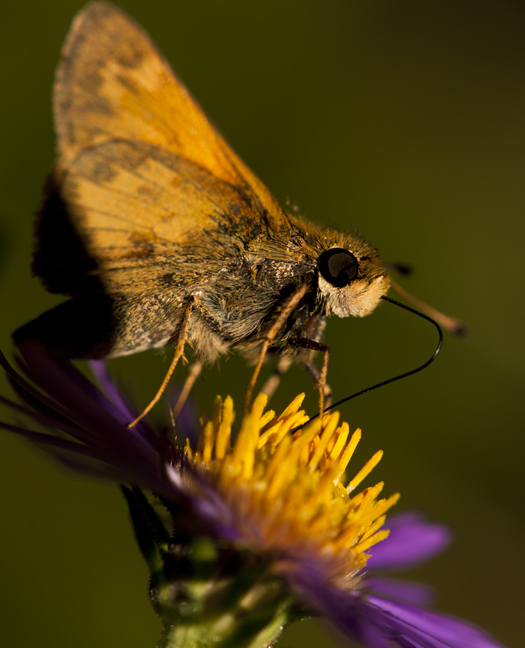 I went looking through some old files tonight and found this photograph of a skipper sipping the nectar of a fall aster. Liking the warmth and bright colors, I thought it was worth posting. 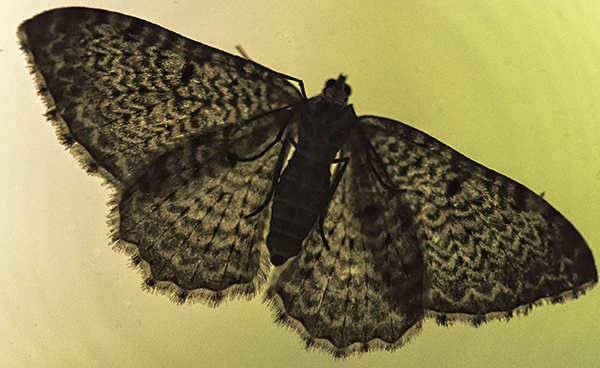 Skippers share characterisitics of both moths and beutterflies. 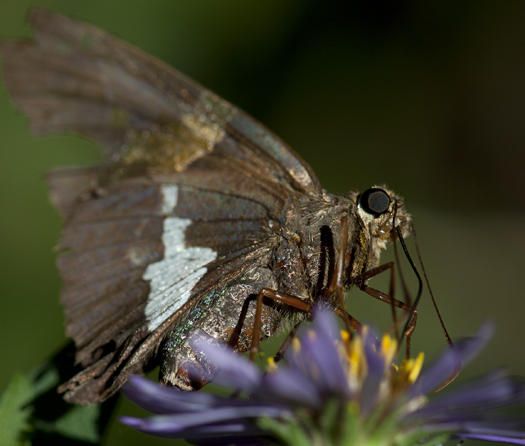 Silver-spotted Skippers are found throughout most of North America. I hadn’t noticed the line of green iridescence along its side until I looked at the image on the computer. I found this guy hiding low to the ground on a recent dewy morning. 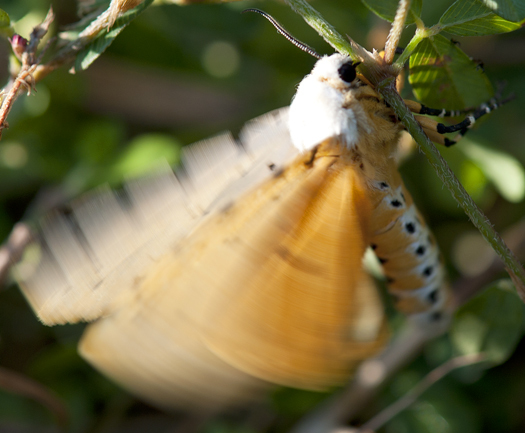 I believe it is a Salt Marsh Moth but if I misidentified this please tell me. It was rapidly beating its wings just before it took off for its initial morning flight.